Looks like this might be the ousting of Poroshenko, strange how everytime Nuland visits there’s a change of Government. KIEV, Ukraine (AP) — Hundreds of Ukrainian right-wingers were rallying in Kiev on Tuesday to protest against government policies in the wake of a deadly stand-off between radical nationalists and police in the country’s west. The radical Right Sector group was one of the most militant factions in the massive protests in Ukraine’s capital that prompted pro-Russia President Viktor Yanukovych to flee the country in February 2014. Since the war broke out in eastern Ukraine between government forces and pro-Russia separatists several months later, the Right Sector has fought on the government side. However, Right Sector militants keep running into disputes with local Ukrainian authorities and Amnesty International has accused the group of holding civilians as prisoners and torturing them. The activists claim they are trying to clamp down on corruption and nepotism but Ukrainian authorities accuse Right Sector of using violence to reach its goals. Speaking Tuesday at the national Right Sector congress, group leader Dmytro Yarosh called for a referendum to impeach President Petro Poroshenko and his government. Yarosh also called for the recognition of volunteer battalions and their right to carry arms as well as introducing martial law, which he said, will help defeat the rebels in the east. Right Sector supporters gathered on Tuesday evening on Kiev’s main square to support Yarosh’s motion. Most of them were civilians and appeared to be unarmed, although some young men wore camouflage. Yarosh told the supporters at the square that the new government that replaced Yanukovych’s regime was only about “changing names” but not the political system. 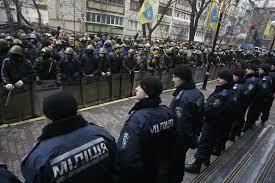 “We are an organized revolutionary force that is opening the new phase of the Ukrainian revolution,” he told the rally. The Right Sector leader garnered about 1 percent of the vote in the May 2014 presidential election. His radical anti-Russian stance prompted the Kremlin to dismiss the uprising in Kiev as a neo-Nazi coup. 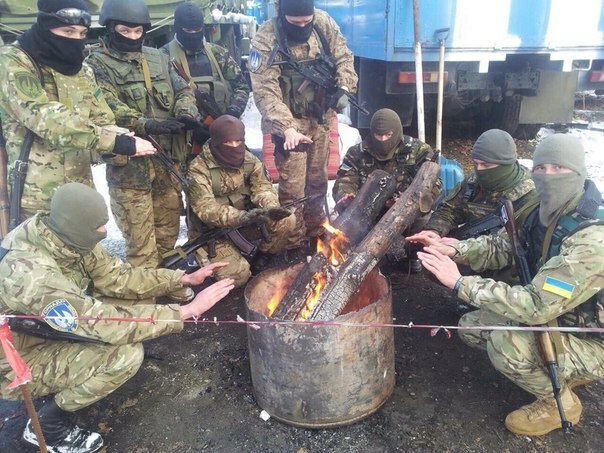 The Ukrainian government has attempted to rein in the volunteer battalions who often took frontline positions in eastern Ukraine where soldiers were reluctant to go by encouraging them to join the National Guard and police forces. In reality, hundreds of men in government-controlled eastern Ukraine still carry arms without any authorization. 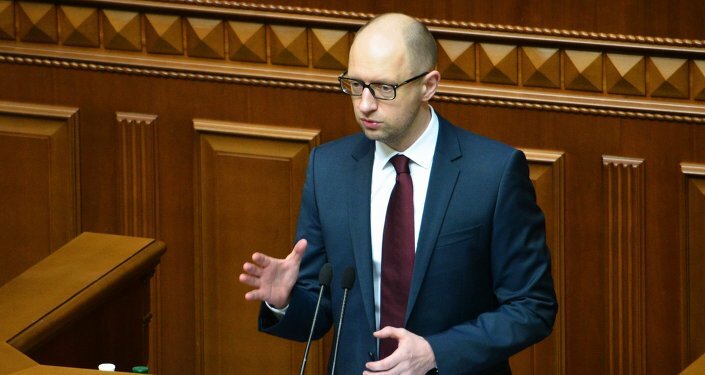 MASSIVE UNREST IN KIEV AS Yatsenyuk is told to resign – The division begins. Breaking news, a year on and we’re seeing yet more unrest as angry crowds in Kiev are asking for Yatsenyuk to resign. Perhaps they forgot that with joining the EU comes Austerity which isn’t sunshine, they should have asked us. It will be interesting to see how Mainstream Media cover this if at all. Almost 400 protestors from Ukraine’s far right nationalist Svoboda party held a meeting in front of the Cabinet of Ministers of Ukraine building, demanding the resignation of Prime Minister Arseniy Yatsenyuk. MP Sergei Kaplin, a member of the largest faction in the Ukrainian parliament — “Petro Poroshenko Bloc” — suggested creating a special commission in Verkhovna Rada – Ukraine’s Parliament – to investigate the activities of the current Prime Minister Arseniy Yatsenyuk, who was accused of concealing corruption schemes. The relevant draft resolution was registered on Monday. The official text of the document has not yet been released on the website of the Parliament. 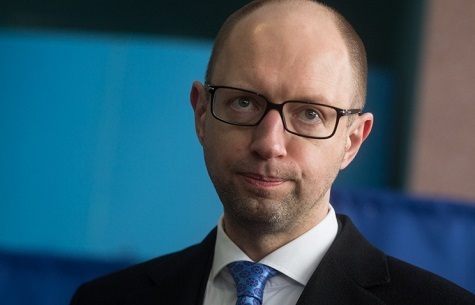 Last week, former Chairman of the State Financial Inspection Nikolai Gordienko released a report in which he accused Yatsenyuk of concealing corruption schemes of the previous government. According to Gordienko, it is a matter of billions of dollars.Gordienko asked the General Prosecutor of Ukraine to investigate the case and suspend Yatsenyuk until the check-up is completed. Ukraine’s far-right nationalist party VO Svoboda held a protest rally in Kiev demanding the resignation of Prime Minister Arseniy Yatsenyuk. 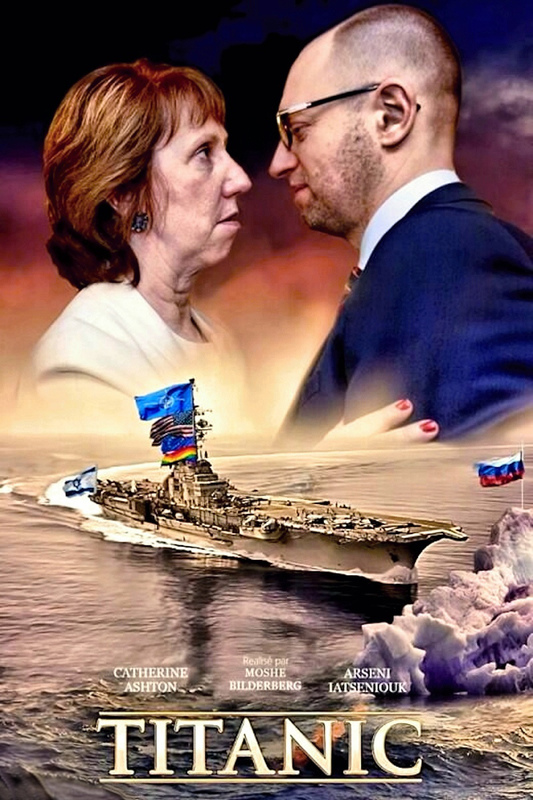 In addition, apparently to convey a strong impression on Ukrainian policy-makers, and particularly, on Arseniy Yatsenyuk, the protesters brought a symbolic gold-colored bullet with the phrase “a bullet in the forehead” written on it. 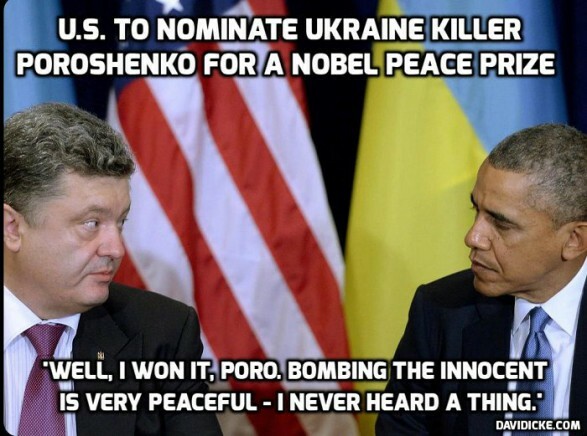 Ukraine is in such a mess not of its own doing apart from perhaps making some wrong decisions along the way. 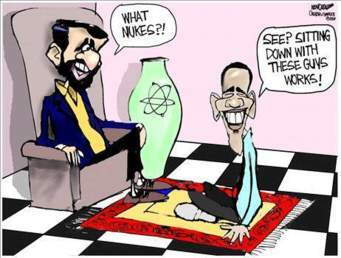 The US have completely de-stabilised another region of the world with the Wests backing. If the Oligarchs turn against Poroshenko there will be blood far in exess of the Maidan Square protests of 2014. KIEV, March 25. /TASS/. A crowd of 400 is demonstrating in front of the Ukrainian government’s building for the resignation of the current Cabinet of Ministers, including Prime Minister Arseniy Yatsenyuk, a TASS correspondent reports from the site. 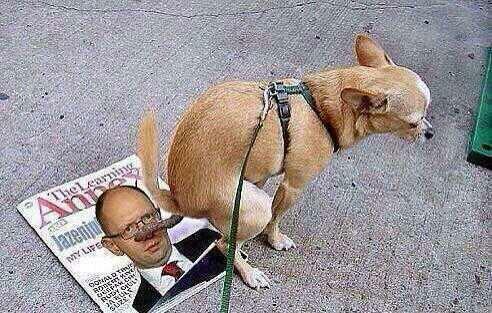 The demonstrators are accusing Yatsenyuk of corruption and lack of the promised reform. Two parliament members from the Freedom party, Igor Miroshnichenko and Andrey Ilyenko are among the protesters. Earlier, Ukrainian experts speculated that some changes may be made to the Ukrainian government. Some pointed to Finance Minister Natalie Jaresko as a likely candidate for premiership. According to the Razumkov Centre pollster, only three parties: the Petro Poroshenko Bloc, Samopomoshch and the Opposition Bloc would manage to get over the 5-percent hurdle in parliamentary elections, if these were to be held on Sunday. Prime Minister Arseniy Yatsenyuk-led Popular Front, Yulia Tymoshenko’s Batkivshchyna and Oleh Lyashko’s Radical Party would fail to get into parliament. The Popular Front would have 4.6% of the votes, the Radical Party, 4.5% and Batkivshchyna, 4.4% The other political forces would get three percent of the votes at the most.